Vardon was born on Jersey one of the Channel Islands in 1870, his father was English and his mother French. He started as a caddie together with his brother and they both showed talent for the game. He moved to England at the age of 20 and started working as greenkeeper at Studley Royal Golf Club in York’s. After one year as greenkeeper he became a club professional. He won 62 professional tournaments and seven of them was major championships. He won Majors both with gutta-percha and Haskell golf balls. Vardon is one-third of Britain’s “Great Triumvirate” of golfers, who dominated golf worldwide between 1894 and 1914, together they won 16 Open Championships. 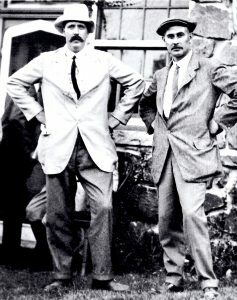 (Vardon 1896,1898,1899,1903,911 and 1914, James Braid 1901, 1905, 1906, 1908 and 1910 and J H Taylor 1894, 1895, 1900, 1909 and 1913). 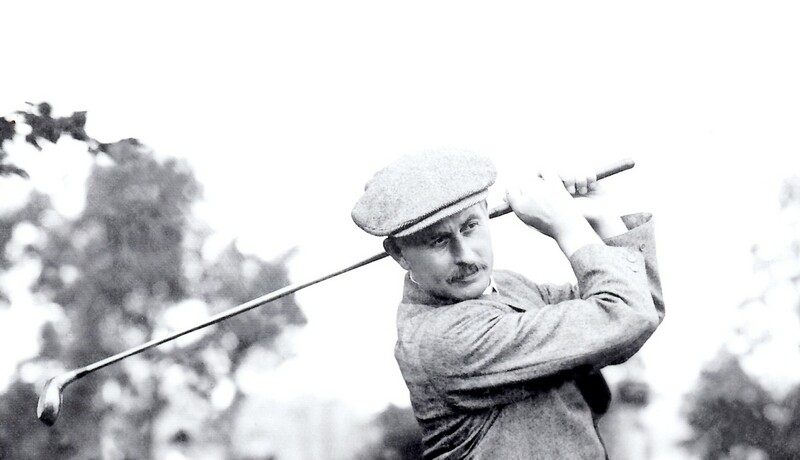 Harry Vardon’s six Open Champion wins is still the record.